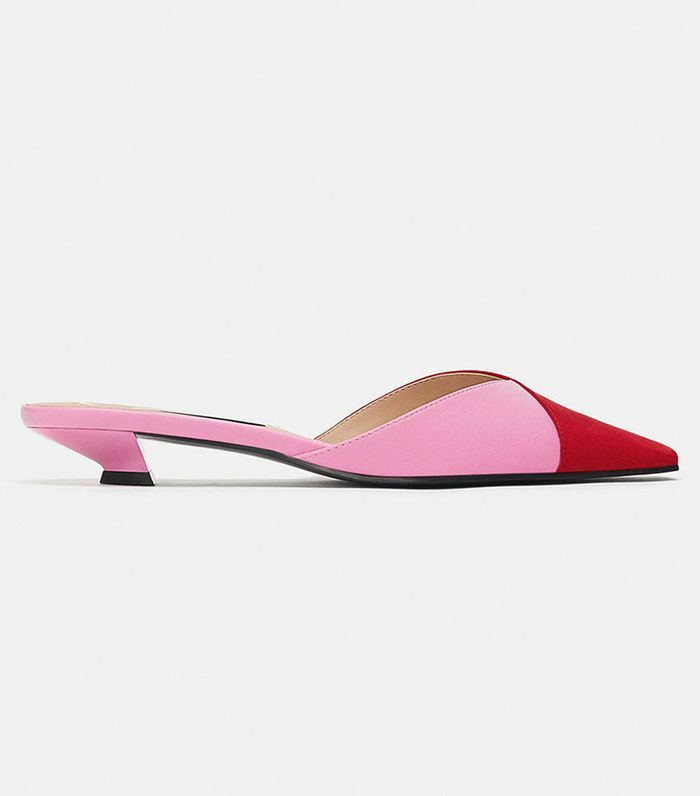 When new Zara products cruise through the site, we perk up. You too? Thought so. To be honest, it's the frequently updated shoe offerings that particularly get us going. So, you can imagine our reaction when all the new footwear styles popped up recently. Yep, we basically didn’t move for a good five minutes—just sat and scrolled through to scope the gorgeous snakeskin boots, cool sneakers, statement-making heels, and more. Do yourself a favor and take a moment to check out the 20 pairs we’re all about right now. Sorry, you may want them all. These fashion-girl favorites look way more expensive than they actually are. The hiking boot-sneaker hybrid will be where it's at next year. Your new work booties, found. Wear these to the office, on the weekends, and everywhere in between. Give yourself those extra few inches. "Dad" sneakers aren't going away anytime soon. We're going to see crystal accents all throughout 2019. Pair these strappy sandals with glitter socks for a festive party look. The patent finish and unique heel give these booties a fresh twist. Love them or hate them, utility sandals are about to invade the fashion world. While more of a splurge, these are some stunners you'll wear all season long. The snake heel makes these feel even more special. You can't go wrong with the perfect pair of white booties. Keep comfortable yet sleek all season long. Cowboy boots are still all the rage. These will elevate anything you're wearing. You literally can't get through this season without a pair of snakeskin boots. Test out these clunkers with jeans and a leather coat for that off-duty life. Imagine these beautiful knee-high boots with a skirt at the office. PVC details keep any look feeling fresh. Next, check out the $40 Zara pants that look A+ with ankle boots.